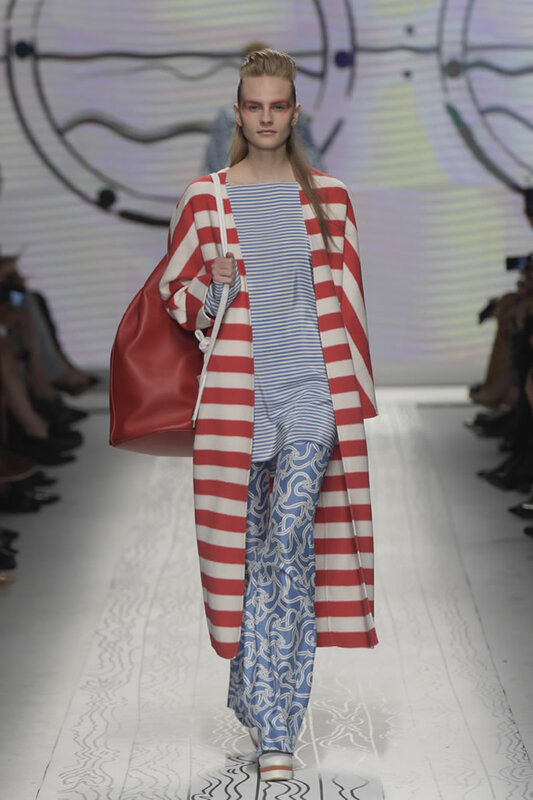 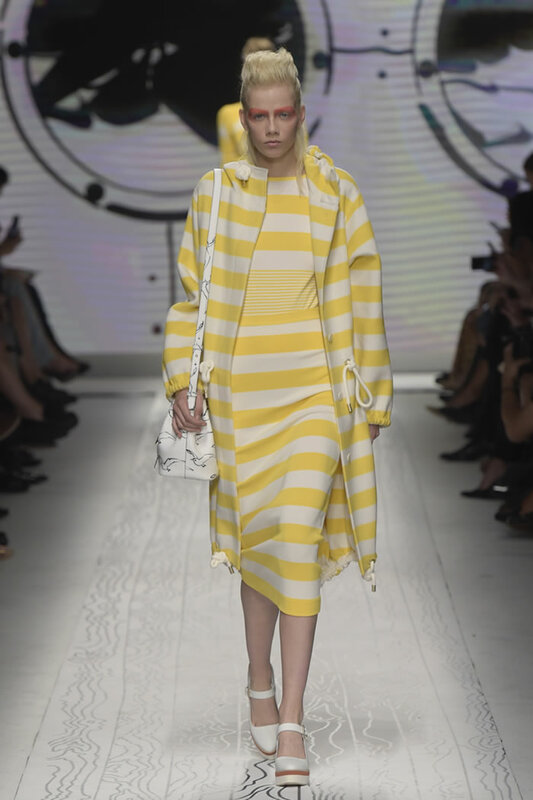 Max Mara turned seaward for spring, setting sail with a fresh, upbeat collection, yet one not without its peculiarities. 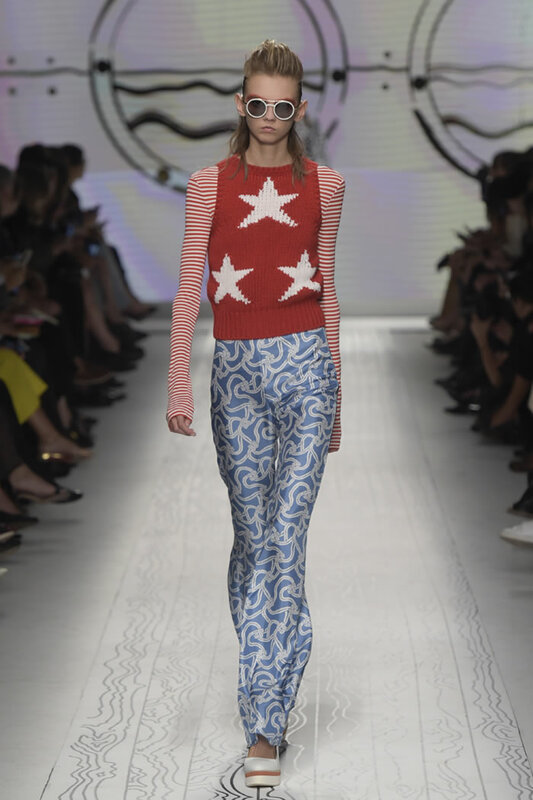 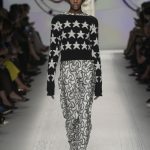 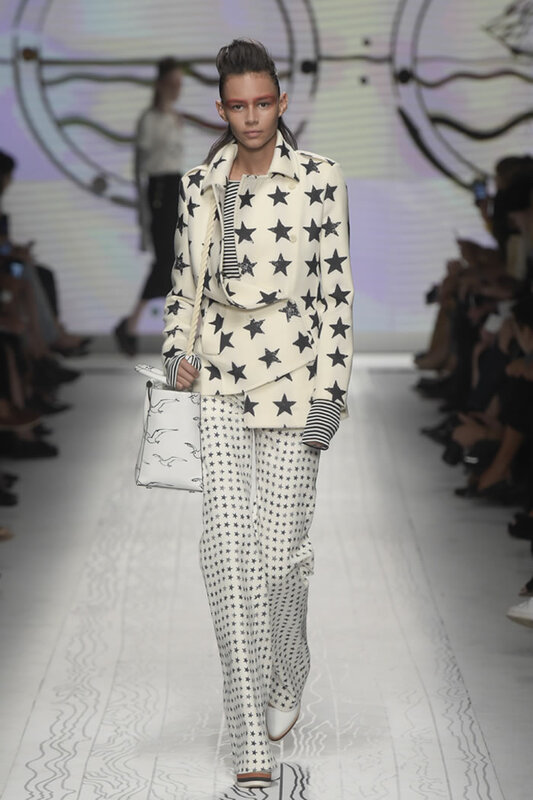 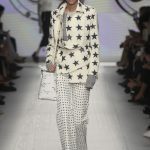 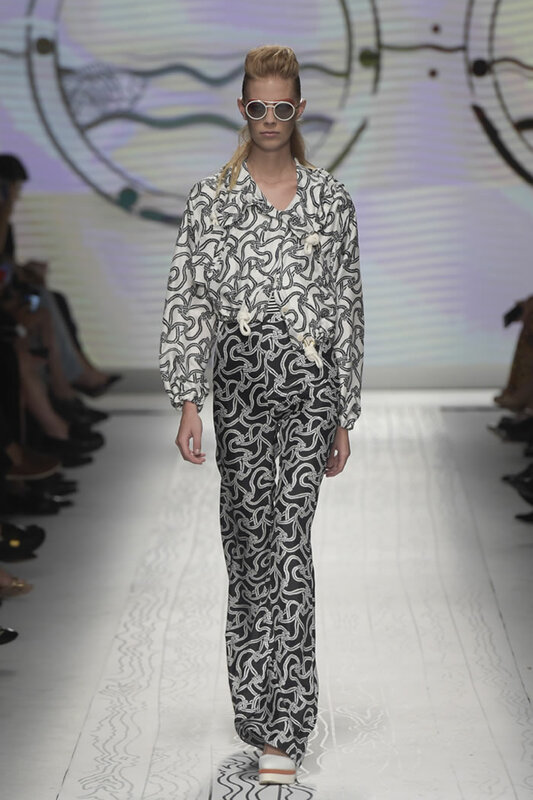 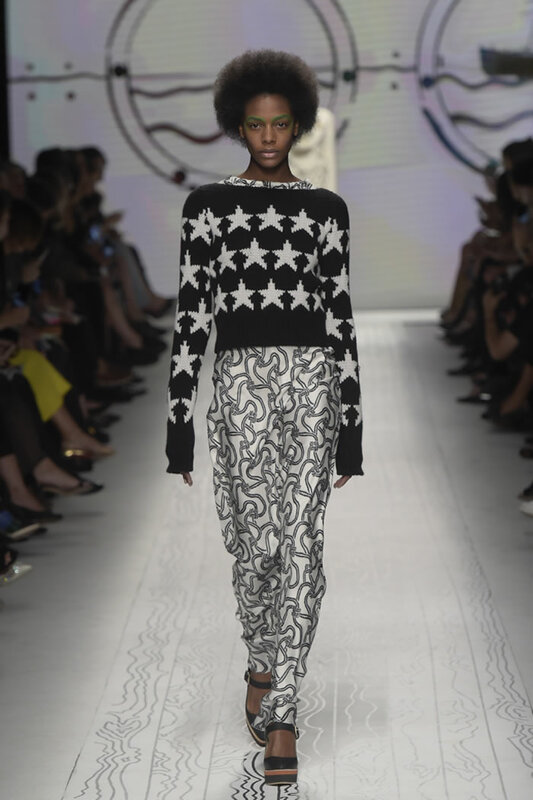 Silky separates in a flashy rope print and a Garanimalslike star motif (big stars, small stars) were buoyant to an extreme. 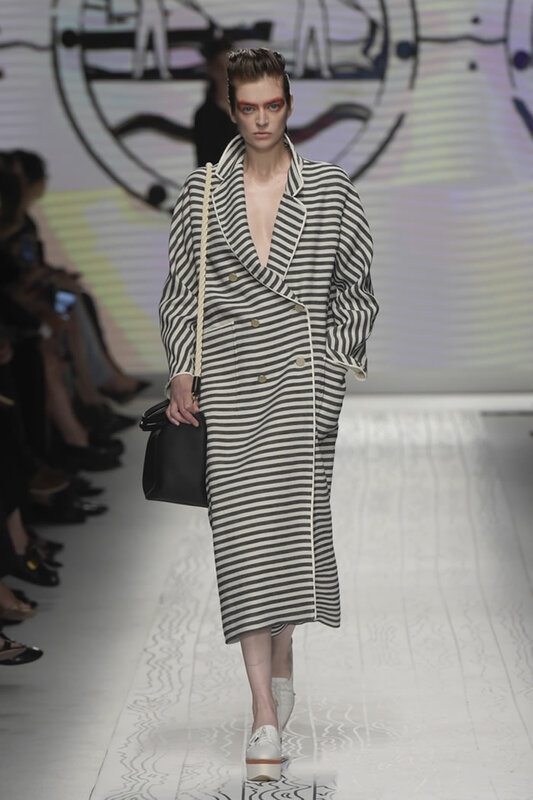 But tailoring is Max Mara’s forte -particularly the coats - and once again, proved covetable: dashing, refined pieces buttoned incorrectly to feign dishabille. 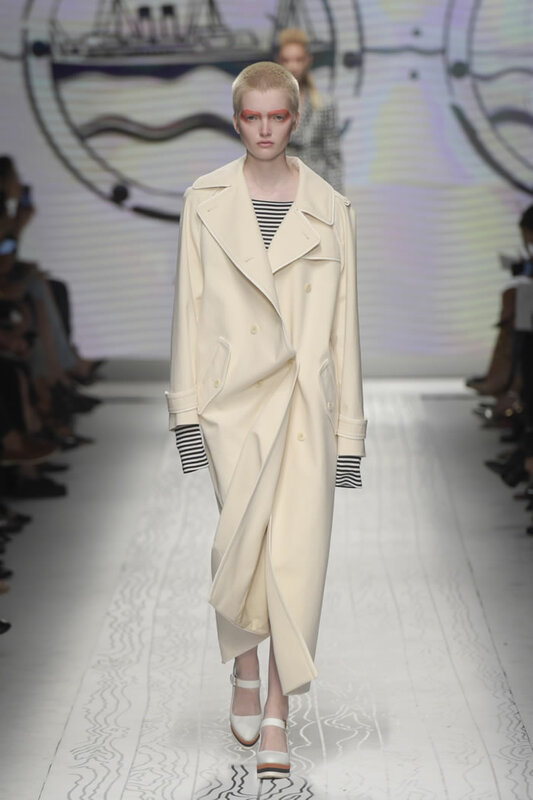 Take your pick: Amply cut white trench over a striped T-shirt with extra-long sleeves; slouchy double-breasted topper in skinny stripes; sleek black pantsuit; lean sailor skirts and pants, some worn with lovely drawstring blouses. 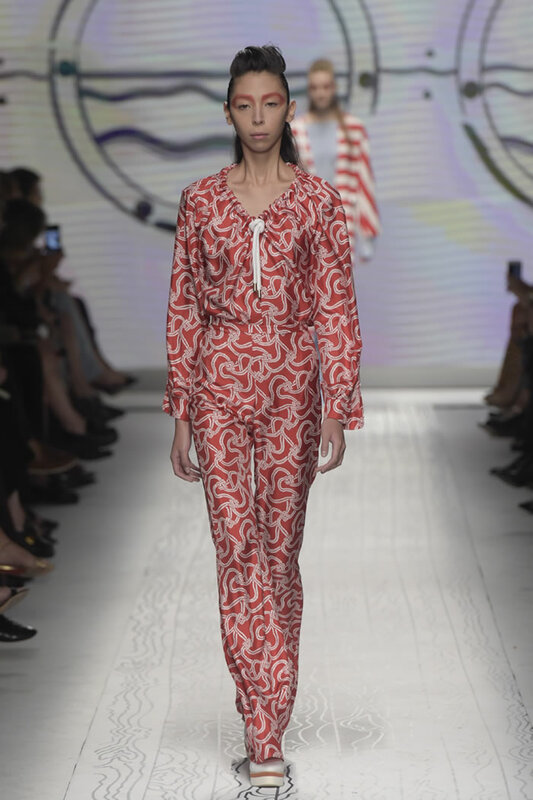 The sailing ruse continued in primary brights, at times head-spinning; handbags with seagull imagery, rope details on snappy, sleek overalls and lighthearted T-shirts with a ship graphic by Brian Grimwood, who also designed the set backdrop. 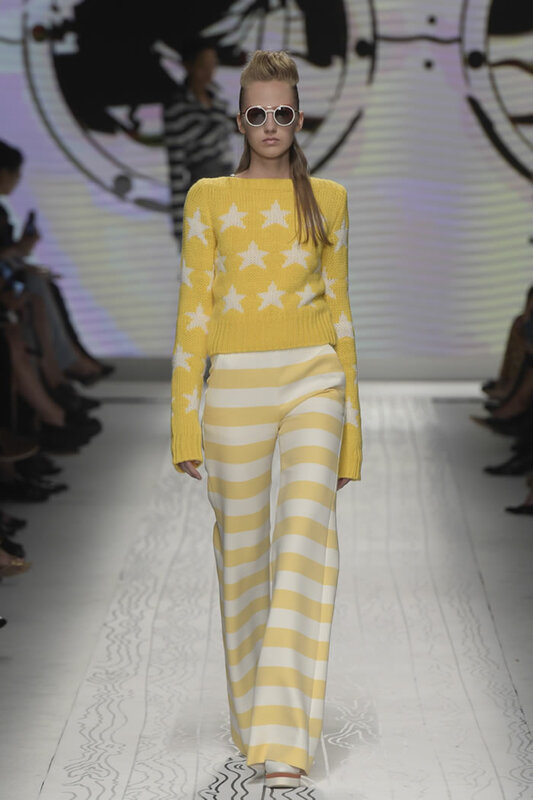 It was the same ship, only animated, seen sailing past through three porthole windows. 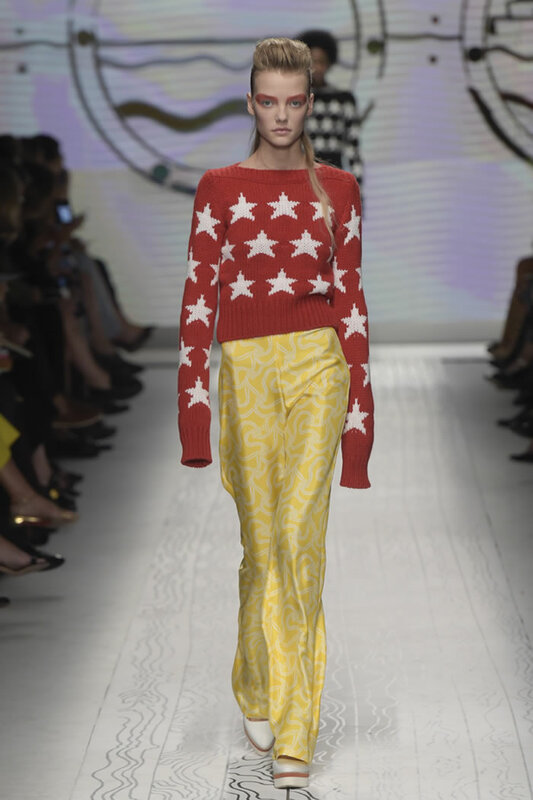 It charmed.